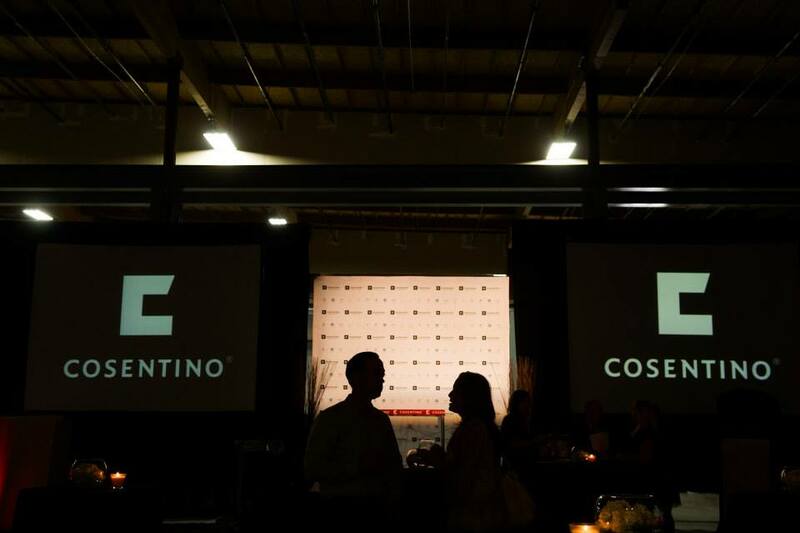 It has been a grand pleasure working with the Cosentino group to produce a number of Grand Opening events across the country for their North American Division. Beginning in Seattle and hitting Boston and Denver this year, these events have been super classy presentations for the company as they unveil each delivery center. Tony has been the Technical Director for these shows supplying equipment, labor and operation throughout the event. 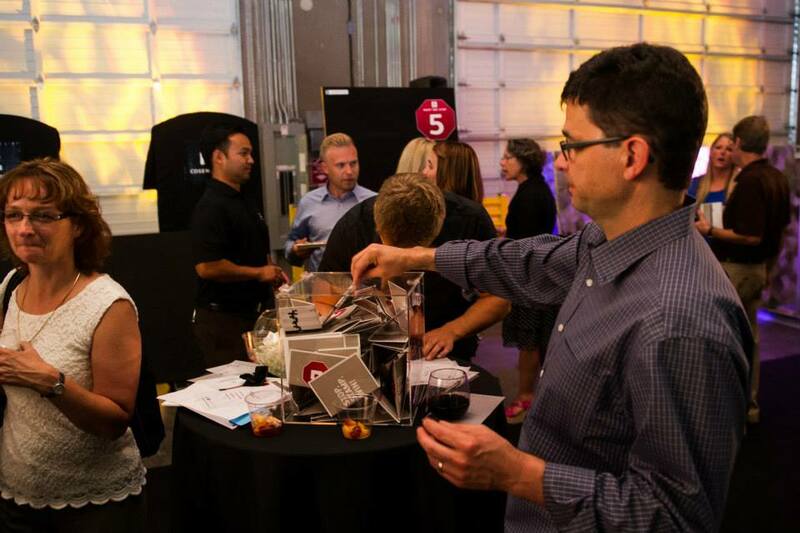 Large-scale international stone slab manufacturer Cosentino recently completed construction on their Seattle-area delivery center and invited all their friends to visit their showroom and warehouse for a Grand Opening reception. TEP was brought in as a production partner for this special event. 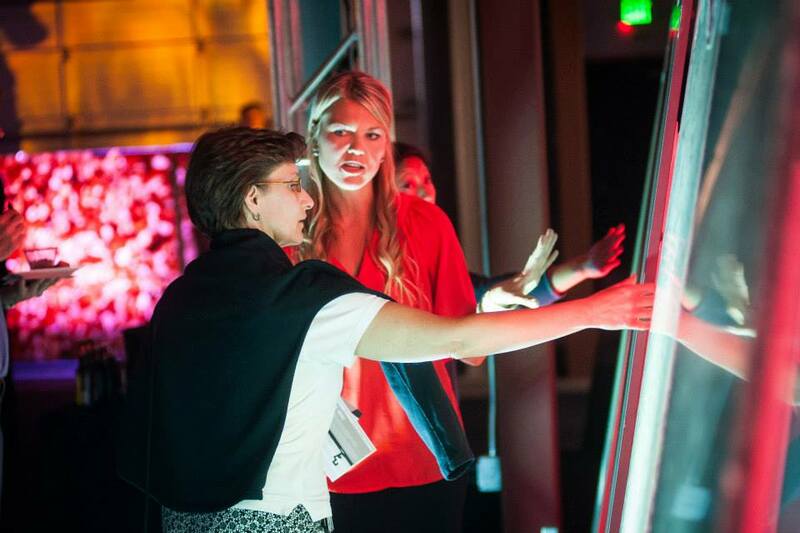 The client’s vision was for a swanky evening with a flamenco performance leading HD video content and presentations from Cosentino USA Executives amidst an exhibition environment where their large stone slabs would be on display splashed with LED light. 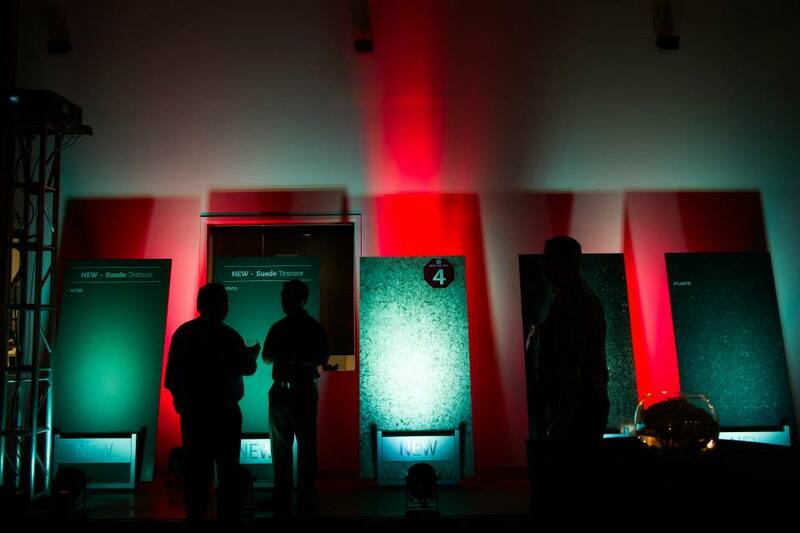 To accomplish the design, we brought in an array of PixelRange LED fixtures to texturize and enhance the space. Battens, Pars and Bricks filled the showroom and backlit translucent stone slabs eight feet in length throughout the dark warehouse. The original design called for one Eiki X85 7k projector, but the morning of delivery our client called for a second projector and screen. Not a problem for TEP, the result was a dynamic dual 9×12′ fastfold setup flanking both sides of the stage. 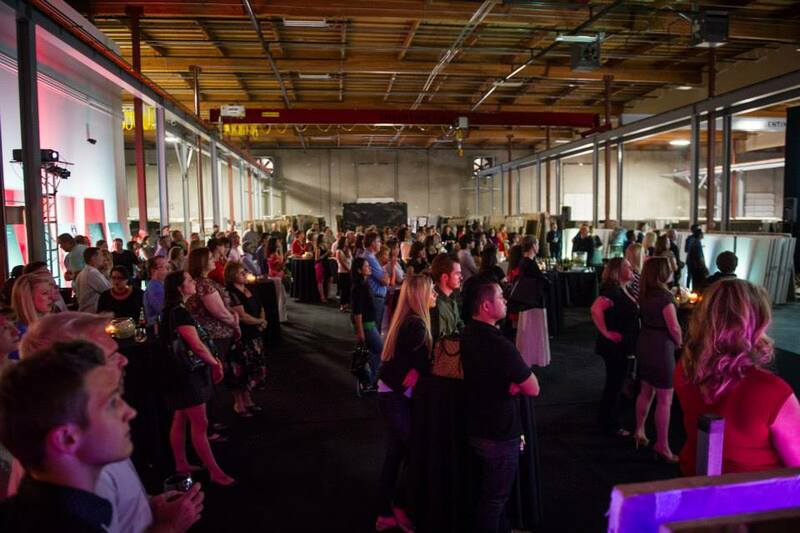 Video was projected from two 10′ box truss towers at the rear wall of the event space so that equipment was completely out of the way of the reception. At the end of the day, TEP provided not only an audiovisual system but a complete solution to a sound, lighting, video, staging, and decor need. 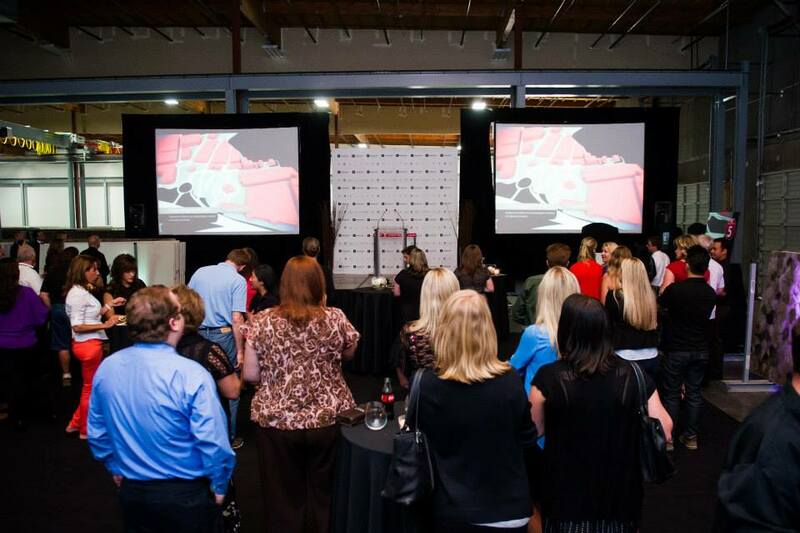 The reception was a fantastic success for both Cosentino and TEP. 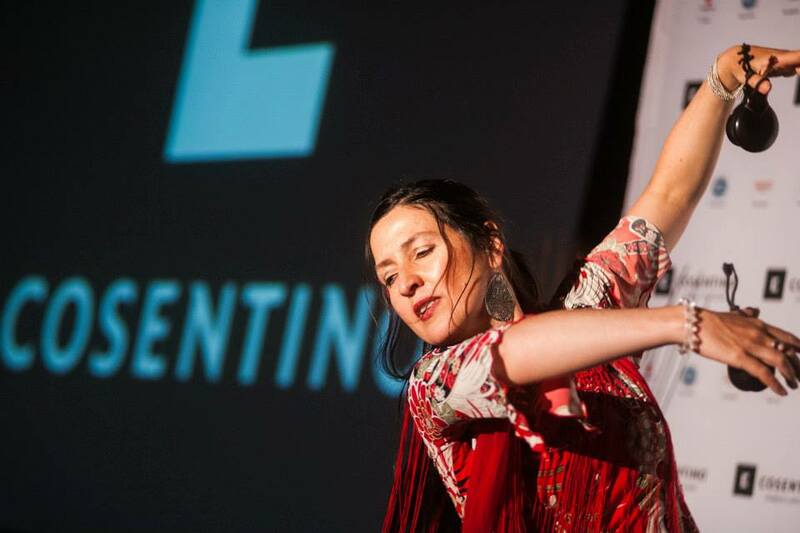 Having provided everything between distributed audio to the wooden stage panels for the flamenco dance gives one a real sense of potential. Thank you Cosentino.